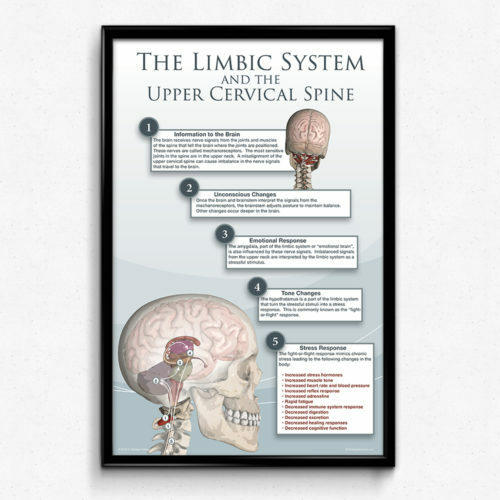 A patient-oriented reference poster for the Upper Cervical practice showing effects of an upper cervical misalignment on the suboccipital muscles, and describing it’s effect on posture. 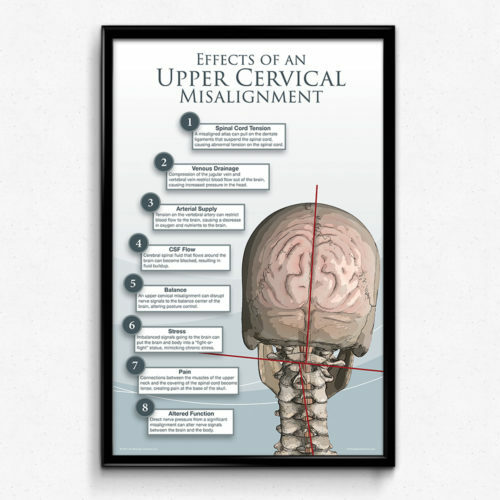 A patient-oriented reference poster for the Upper Cervical practice showing effects of an upper cervical misalignment on the suboccipital muscles. 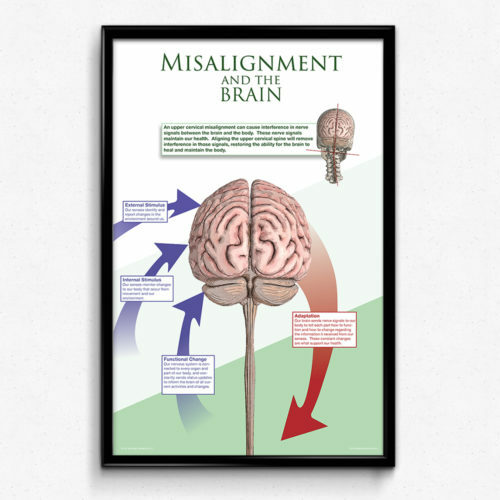 The large illustration shows the misalignment with asymmetrical stretch of the sub occipital muscles. The small illustration on the bottom shows an imbalanced posture with lines dawn to define the posture distortions. 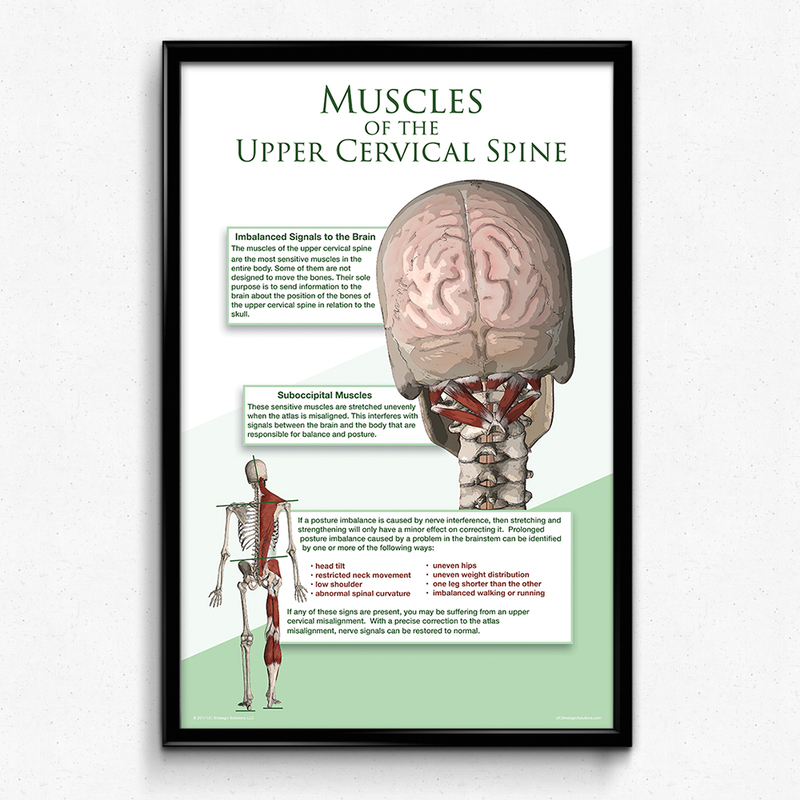 The muscles of the upper cervical spine are the most sensitive muscles in the entire body. Some of them are not designed to move the bones. 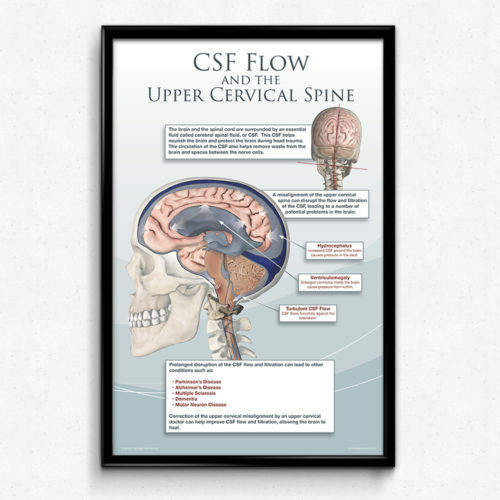 Their sole purpose is to send information to the brain about the position of the bones of the upper cervical spine in relation to the skull. These sensitive muscles are stretched unevenly when the atlas is misaligned. This interferes with signals between the brain and the body that are responsible for balance and posture. If any of these signs are present, you may be suffering from an upper cervical misalignment. 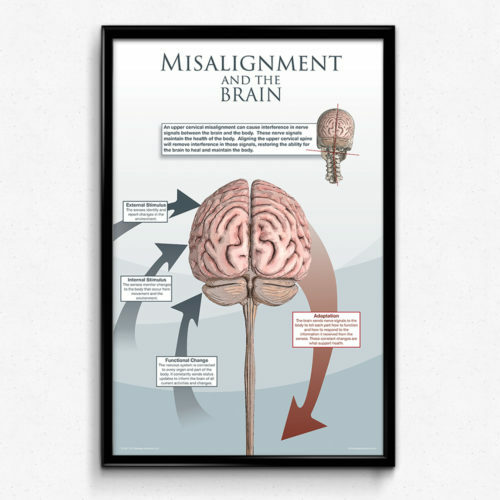 With a precise correction to the atlas misalignment, nerve signals can be restored to normal.